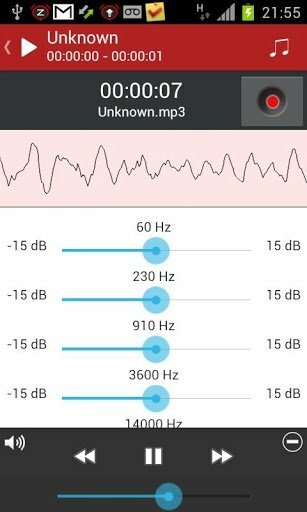 Use MP3 InCall Recorder & Voice to record phone calls, an audio software application that records in MP3 format and also provides a filter to improve the quality and the moderate use of resources. 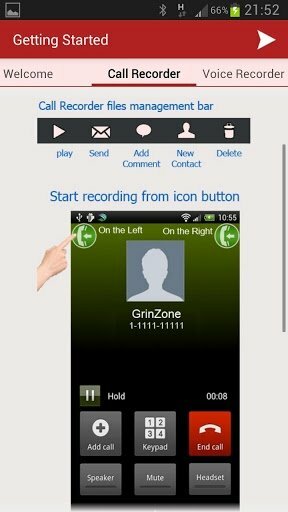 Choose whether to record from a certain moment onwards or any incoming call. High quality call and voice message recorder, all in one. 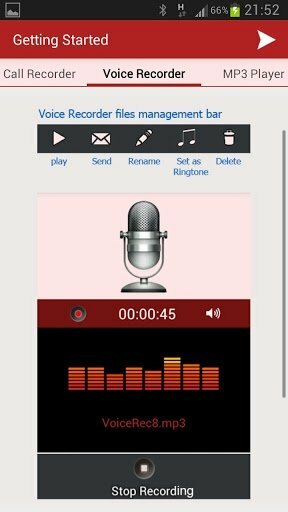 MP3 InCall Recorder & Voice can record phone calls as well as from any other audio source, as it can be used just like a voice recorder. Furthermore, the files hardly occupy any space: 1 hour of recording requires 7 MB of storage space. Manage all your recordings comfortably. 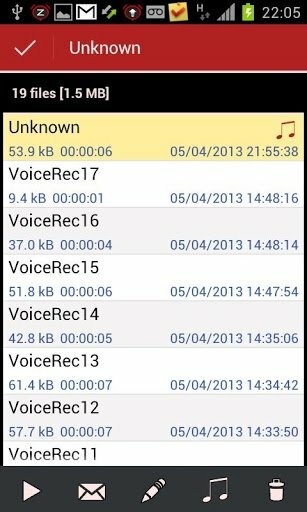 Play, share or add notes to the recordings. Choose where to place the record button. Includes an MP3 player with an equalizer. Download MP3 InCall Recorder & Voice free for Android and store calls and voice recordings.